Despite the worst fog for more than a decade and a sudden strike by the staff of the Docklands Light Rail, this year’s World Travel Market at the ExCeL Exhibition Centre in London continued to attract exhibitors and trade visitors from all over the world. Many Irish trade braved the fog to get there and CityJet gave a new meaning to customer service: it was above and beyond the call of duty, so full marks to the management and staff of the airline. WTM will revert to a three-day event next year, running from Monday 7th to Wednesday 9th November 2016. 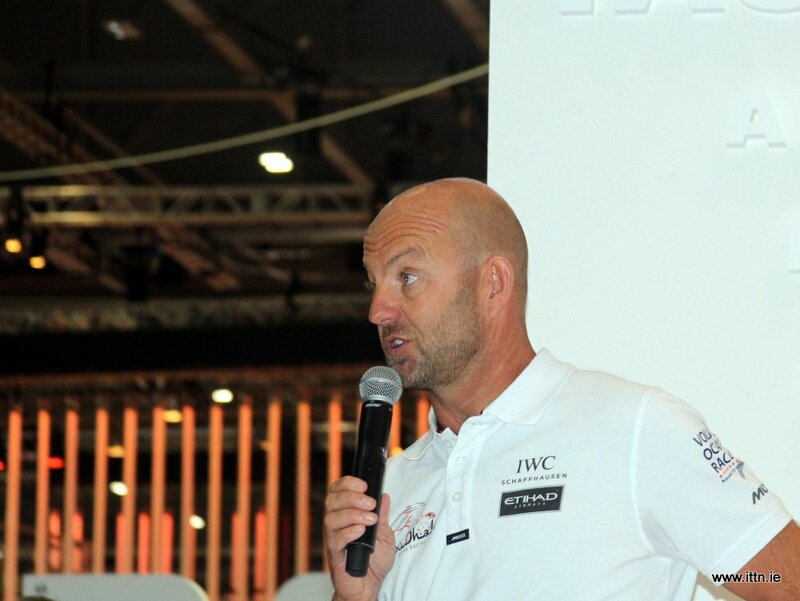 The Abu Dhabi Tourism & Culture Authority hosted an on-stand breakfast briefing with top sailor and double Olympic medalist Ian Walker, who skippered Abu Dhabi Ocean Racing to victory in the Volvo Ocean Race. He gave a most interesting talk on what it was like to compete, and win, offshore sailing’s most gruelling competition. He thanked Abu Dhabi Tourism for the support he and his team had received. Vietnam continues to grow as an interesting Asian destination for European visitors – and has recently announced that visitors from the following countries may not need a visa to visit Vietnam for less than 15 days: Germany, France, the UK, Italy, and Spain. This in force from now until the end of June 2016. Catalonia, one of the many regional tourist boards from Spain, was busy at WTM-2105 – and celebrating Catalonia’s title of European Region of Gastronomy in 2016. Also, in June 2015, El Celler de Can Roca in Catalonia reclaimed the top position in ‘The World’s 50 Best Restaurants’ awards. Catalonia is one of Europe’s prime wine regions, producing more than 380 million bottles annually. Wine tourism can be enjoyed in Catalonia’s 12 denominations of origin, where there are more than 300 wine cellars and 65,000 hectares of vineyards. Incredible India has to be the most descriptive marketing title for any country in the world – and they looking for more Irish visitors to visit this wonderful country. In 2014, 7.7 million tourists visited India, a growth of more than 10% from just under seven million (6.97m) in 2013. In the first six months of 2015 the country welcomed 3.85 million tourists, up 3.4% on the same six months in 2014. India is looking to increase its tourism numbers further by enticing tour operators from global source markets to promote the country as a year-round luxury destination. The key to India’s strategy is to focus on a variety of niche products, including rural, wellness, medical, adventure, golf, MICE and cruise tourism, to overcome the aspect of ‘seasonality’ and to spread tourists around the country by promoting India as a 365-days destination, and expanding out from its most popular period of October to March. India’s most popular destinations are Delhi, Agra and Jaipur (popularly known as the Golden Triangle), Rajasthan, Goa, Kerala and Kashmir. However, a greater focus is being put on North East India – Assam, Meghalaya, Sikkim, Arunachal Pradesh, Nagaland, Manipur, Tripura and Mizoram. Malta is working on a number of projects designed to make the most of its capital, Valletta, being awarded the European City of Culture 2018. The Old Abattoir will become the Valletta Design Cluster; its National Museum of Fine Arts will be upgraded; and the new Parliament building, designed by world-renowned architect Renzo Piano, was inaugurated this May. Elsewhere, new independent boutique hotels are opening regularly and its beaches have been awarded the highest ratings for cleanliness by the European Commission. WTM London 2016 will take place from Monday 7th to Wednesday 9th November, with the opening hours extended from 10am to 7pm for all three days, giving exhibitors and visitors extra time to negotiate and agree business deals, while reducing the ancillary costs of exhibiting. Over the past five years WTM London visitor numbers have grown by 20% to 32,528, with buyer numbers from the WTM Buyers’ Club over the past three events increasing by 16% to 9,124, meaning a three-day WTM will give exhibitors the opportunity to see more people over a shorter time span. The new and improved WTM London 2016 will see more content moved on to the exhibition floor, further increasing networking opportunities between exhibitors, buyers, visitors and media. The WTM International Press Centre will move from the Platinum Suites on to the exhibition floor to increase the networking opportunities between exhibitors and the almost 3,000 international media in attendance. Amazing Thailand is planning to hold three workshops for Irish travel agents next year. The locations will be in Belfast, Cork and Galway and the workshops will held in February 2016. Thailand had more than 70,000 visitors from Ireland last year.